Houston Food News Bites: Would You Like To Play A Game? As Mardi Gras gets closer, it’s shaping up to be another great week for foodies in the Bayou City. At the beginning of the week, chefs will go head-to-head to find out who will be the Truffle Master of 2018. By the end of the week, those who have wanted a gaming café in Houston will finally get their wish. Also, one of Houston’s hottest restaurants is rolling out favorite menu items to mark its first birthday while a classic one has a new list of spring specials. Other classes and tastings this week highlight wine and mezcal. As we reported last week, Coral Sword Games Café at 1318 Telephone opens on Friday. 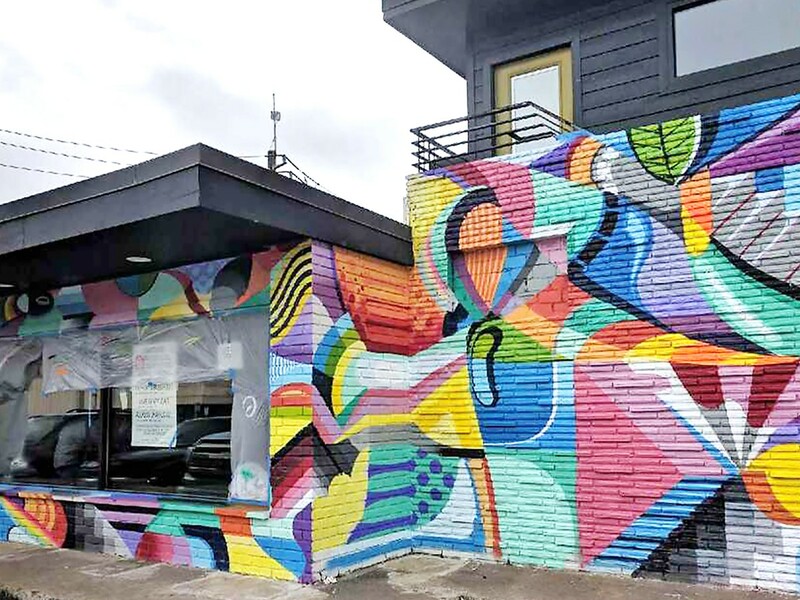 It’s the brainchild of San Francisco Giants outfielder Hunter Price, his wife Alexis and business partners David Buehrer of Greenway Coffee, Ming Chen of the reality series “Comic Book Men” and Sanford Bledsoe III who originally founded The Espresso Bar in Ann Arbor. Coffee, tea and food will be half off on opening night. PaperCity broke the news that the family behind Romano’s Pizza will be opening an “upscale Italian” restaurant, Eatalia, this spring. It will located at 1936 Fountain View, the former site of La Vista. 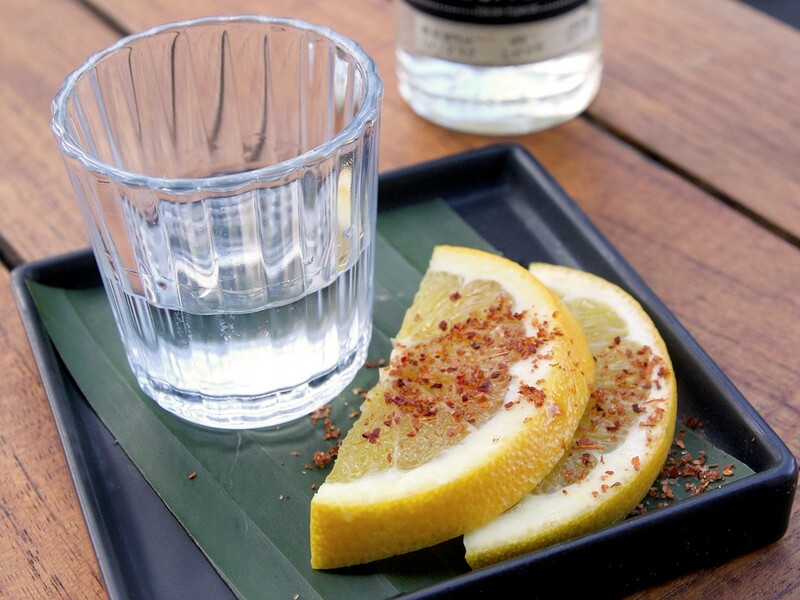 A shot of mezcal and the traditional accompanying orange slices with sal de gusano, or “worm salt.” Photo by Paula Murphy. Xochi, 1777 Walker kicks off a monthly mezcal happy hour on January 31. Each month features a different mezcal from Oaxaca, the Mexican region that inspires Xochi’s menu. Famous for both mezcal and masa (corn), the monthly happy hours will feature both. The inaugural event offers a flight of three Bonzal Ancestral mezcals and the featured mezcal cocktail with choice of a masa dish for $21 per person. It’s available from 5 to 7 p.m. For reservations, call (713) 400-3330. Helen Greek Food and Wine, 2429 Rice and its sister, Helen in the Heights, 1111 Studewood are shuttering early on Sunday, February 4. Both locations will close at 3 p.m., allowing diners to get their Greek on before they get their game on. Houston’s top chefs gather for The Truffle Masters annual competition at the Astorian, 2500 Summer. Over 20 chef stations are serving attendees dishes starring fresh truffles. Meanwhile, a panel of judges will deliberate on who will get the 2018 Truffle Master title—and the grand prize of a kilogram of precious black truffles. General admission tickets cost $175 and doors will open at 7.VIP tickets are $275 each and include entry beginning at 6 p.m. for a reception featuring caviar, wine and special cocktails as well as access to the VIP lounge from 7 to 9 p.m. All tickets may be purchased online. L’Alliance Française, 427 Lovett: Spec’s fine wine buyer, Bear Dalton, is hosting a 2015 Louis Jadot wine tasting and class. Jadot is among the best negoçiants (merchants) in France’s Burgundy region, sourcing grapes from all over the area for its wines. Eight whites and seven reds are featured, including the Louis Jadot Chablis Fourchaume 1er Cru, Louis Jadot Puligny Montrachet and Louis Jadot Nuits Saint Georges les Boudots 1er Cru. The class begins at 7 p.m. and costs $180.00 per person (cash or check) or $189.47 (credit card). To purchase tickets, contact Susan at (713) 854-7855 or via email. The dining room of One Fifth Romance Languages. 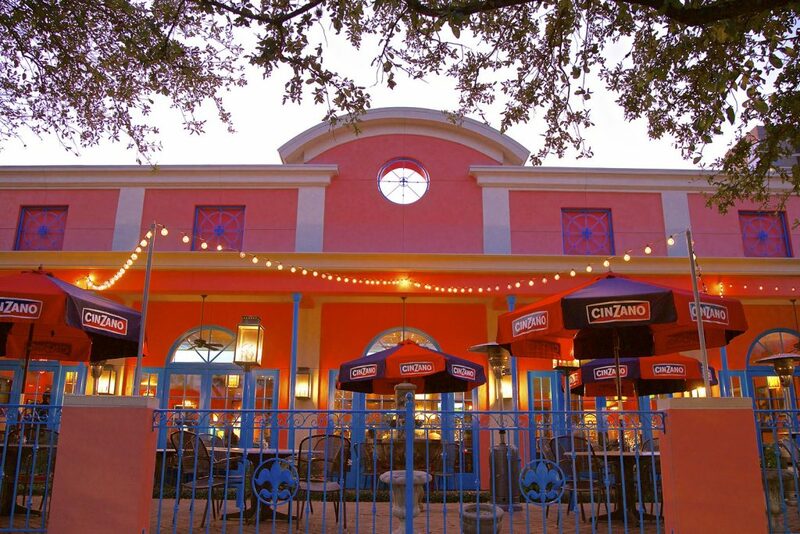 One Fifth Turns One, 1658 Westheimer celebrates its first birthday January 29. To celebrate, it’s featuring a menu of favorites from One Fifth Steak and One Fifth Romance Languages. Look for selections such as Uni Panna Cotta with peanuts and benne seed, blackberry caviar with crème fraiche, chives and potato chips, charred octopus and Marble Ranch Strip. And, for this one night, Baller Boards are back. Make reservations online. Sud Italia, 2347 University is hosting a five-course dinner featuring eight wines from Italy’s Tuscany region. The new release from Sassicaia, the legendary Tuscan winery, is one of them. Executive chef Maurizio Ferrarese’s menu includes marinated bass with pickled vegetables and fermented garlic served with 2015 Peppucci I Rovi, Bianco Grechetto; oven-baked pasta and Akaushi beef paired with 1997 Rosso Riserva Sangiovese and Brunetto; and slow-cooked duck confit with 2014 Tenuta Ssan Guido “Sassicaia” Bolgheri. The dinner starts at 7 p.m. and tickets are $89 per person, excluding tax and gratuity. To reserve, call (713) 664-7571. Camerata at Paulie’s, 1830 Westheimer: For the last event of TXOTX 2018, a week-long celebration of wines from the Basque region (including its namesake, txakolina), Camerata is hosting importer Álvaro de la Viña for a happy hour dedicated to the natural wines of el País Vasco. Wineries feature are Companón Arrieta and Vinos Subterraneos from Rioja Alavesa and Ulibarri Artzaiak from Bizkaia. Spanish snacks like Jamón Serrano, boquerones and pintxos are available as well. The event runs from 5 to 7 p.m. and more details are available on its Facebook page. Spring Daily Specials at Tony Mandola’s include 50-percent off bottles of wine Mondays, $1 oysters Tuesdays and 50-percent off cocktails Wednesdays. Photo courtesy of Tony Mandola’s Gulf Coast Kitchen. Tony Mandola’s Gulf Coast Kitchen, 1212 Waugh launches its spring daily specials today. 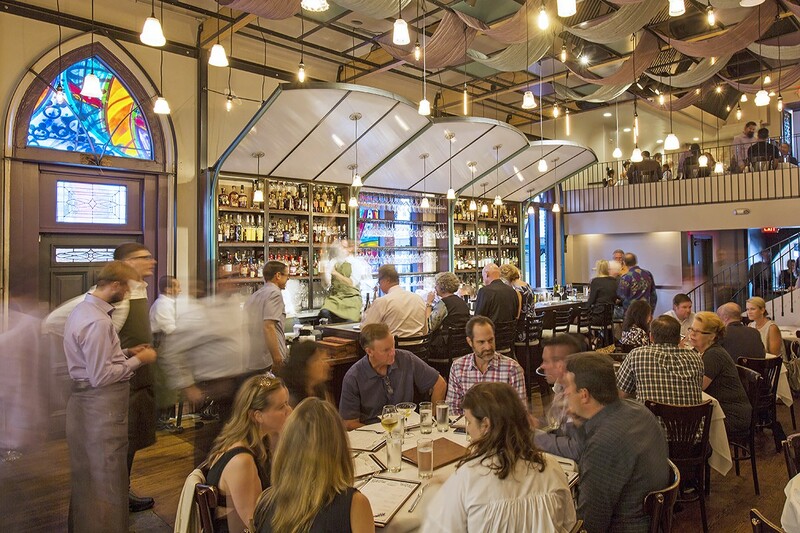 Diners can look forward to a 50-percent discount on bottles of wine Mondays, $1 oysters Tuesdays, 50-percent off cocktails Wednesdays and 50-percent off scotch and whiskey on Thursdays. In addition, kids eat free on Sundays and Mondays. All specials run through April 30. The Union Kitchen, 6011 Washington is hosting a wine dinner with To Kalon vineyard specialist Patrick Bayne. Diners get to sample a three-year vertical selection of both Robert Mondavi Reserve and Opus One wine, along with a fume blanc made from To Kalon fruit. Chef Jeff Lundy is serving Steak Caprese with mixed greens, basil leaves and grilled tomatoes, Lamb Lollipops and Blackberry Hoisin Ginger Lime Pork Loin to pair with the wines. Tickets are $150 per person and may be purchased online.